Cinémathèque by Applied Acoustics Systems is a Virtual Instrument Audio Plugin and Soundware (e.g. samples or presets that load into other products). It includes, and is therefore "powered by", AAS Player, which functions as a VST Plugin, an Audio Units Plugin, an RTAS Plugin and an AAX Plugin. 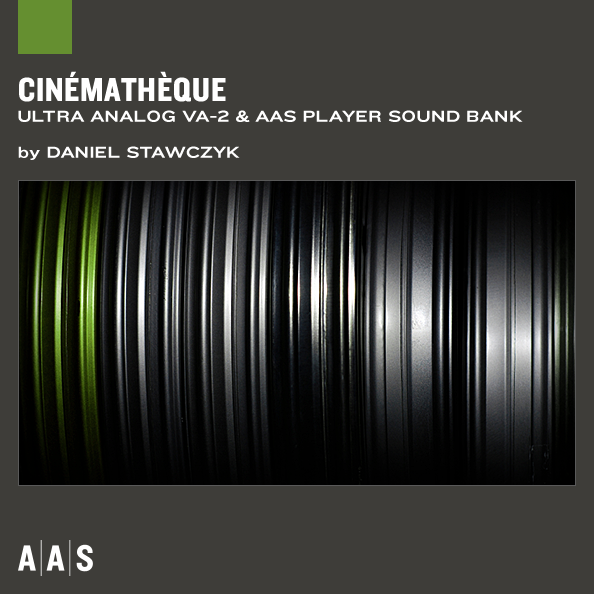 Cinémathèque is a collection of pads and textures for the Ultra Analog VA-1 and AAS Player plug-ins that is ideal for every cinematic occasion.